Cottage pie is a dish that regularly appears on Aged Care menus. Using soup as a base, napoli sauce and potato mash means you get a great result in half the time. Heat the oil in a large saucepan and lightly cook carrot, onion and celery until just tender. Add mince and continue to cook until browned. Add 400ml water and CONTINENTAL Professional Gluten Free Beef & Vegetable Soup Mix, KNORR Pronto Napoli and simmer for 15 minutes. Remove from the heat. Bring 1L of water to the boil, remove from heat and whisk in the CONTINENTAL Professional Gluten Free Instant Mashed Potato Mix, add the butter and cream. Whisk until smooth. Place the cooked mince mixture into a large baking dish and cover with mashed potato. Cook in the oven at 170 degree Celsius until golden. 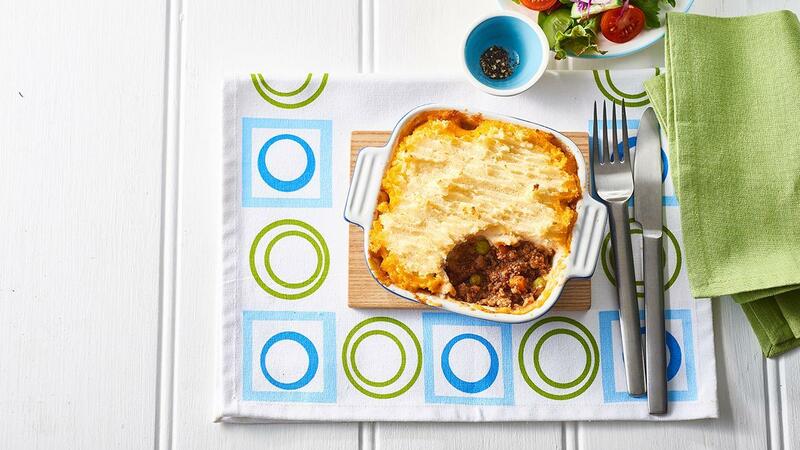 Serve cottage pie with salad. Fresh salad with cabbage, lettuce, tomato and cucumber. Add lamb mince for a Shepherd's Pie.